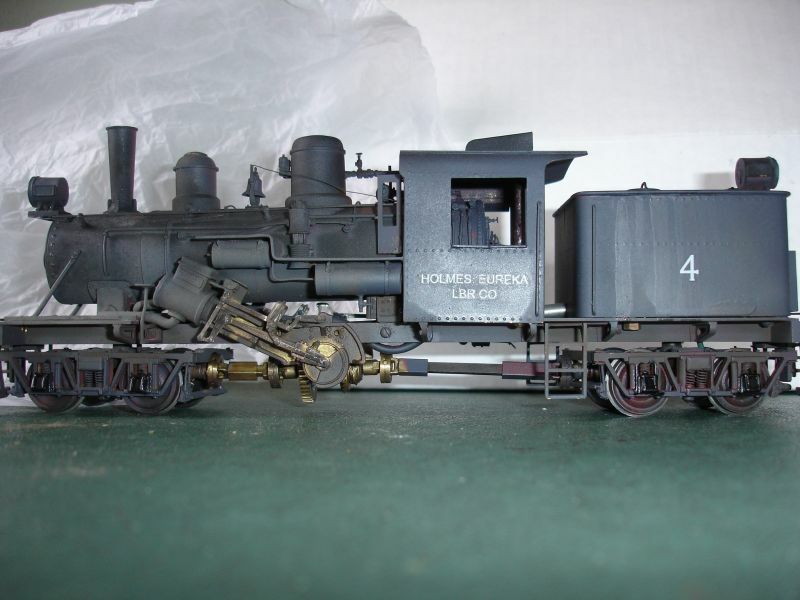 This locomotive has been designed primarily for the hobbyist whose layout space is limited. It has been thoroughly tested on 18" radius curves with excellent results, and the flanges of the wheels have been reduced to allow operation on rail, the equivalent of 70 pound O gauge rail, which affords branch line realism. Both trucks are sprung to allow proper equalizing action, thus facilitating maximum traction and operation over the most rugged type of railroad. All dimensions have been follwed very closely to procure a well proportional and detailed locomotive. 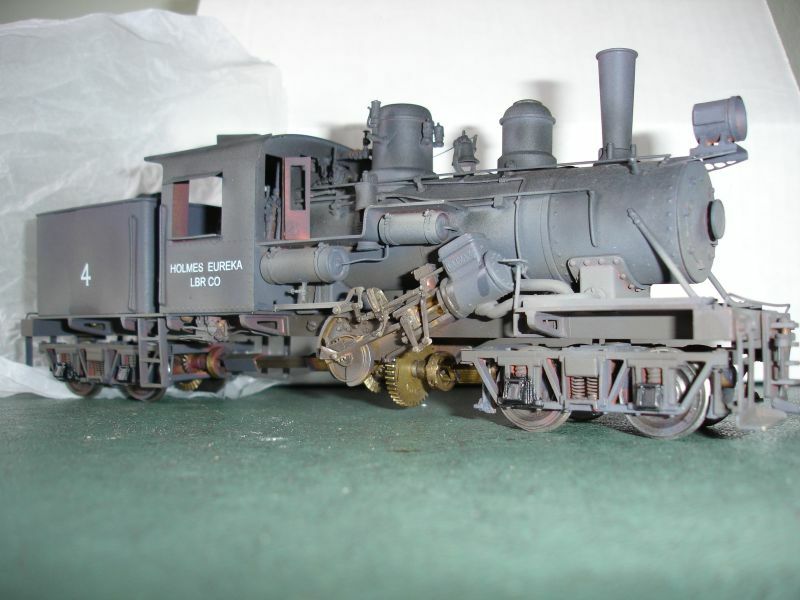 The LOBAUGH CLIMAX has been engineered to simplify its assembly, making it an ideal locomotive kit for the beginner in model railroading as well as for the old timer who is critical as to detail. No Builder's plans were available on this locomotive; consequently, the prototype which was located near Eureka, California, had to be measured thoroughly from coupler to coupler. 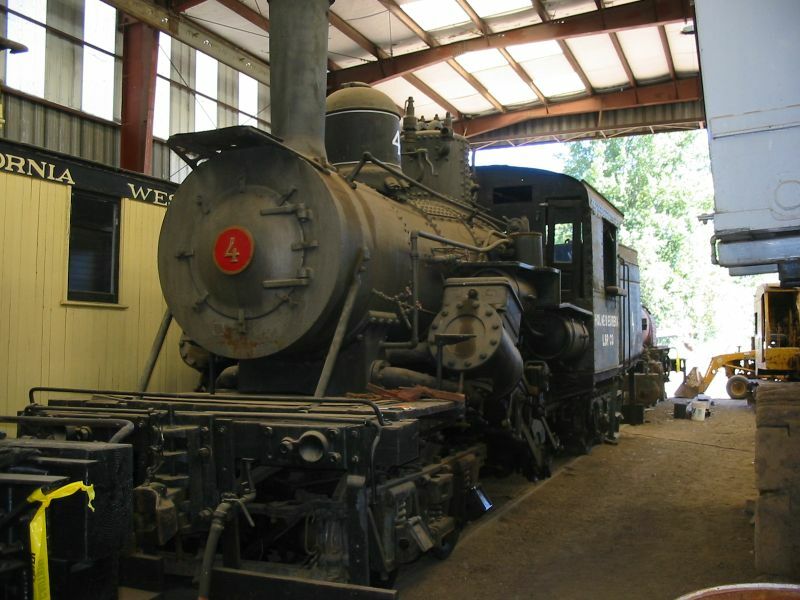 The locomotive as set up in this kit is a replica of the locomotive found in the loggin camp. Doors and break hangers are not included in the kit, these were added by the customer that submitted the photograph.